Do Dr Giorgini food supplements contain gluten? Can't I just drink a glass of orange juice to get the amount of vitamin C intake I need? Why take vitamin and/or mineral supplements? Don't we get a sufficient nutrient intake from food? Are Dr Giorgini food supplements also suitable for children? 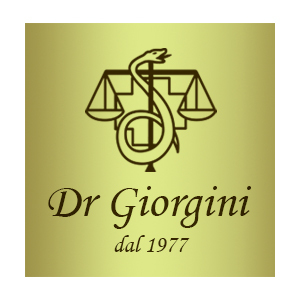 How are Dr Giorgini products prepared? What is the origin of the raw materials we use in our food supplements? Why is it always necessary to take so many pills? Why did you choose the plastic bottle, instead of a glass one, for the packaging of some products? What is Green Coffee for? And how should I take it? Can I use Olivis even if I am taking medicines to control my blood pressure? Can I take Veravis beads during pregnancy? Can I take Ferrum compositum during pregnancy and breastfeeding? Can I take Pure Silver to improve my immune system resistance? To follow an iron therapy, what is the difference between Ferrum compositum and Steelvis? Can magnesium be taken continuously for long periods? Can Olivis be taken on an on-going basis or do I need to take some breaks? How and when to take Melatonin, if the disorder is recidivist? What product can I take as a throat antiseptic? What can I take to tone up my muscles? Is there a multivitamin that gives physical and mental energy? What are the products against constipation that I can take during pregnancy? Are there any natural products for breastfeeding? What are the products that I can take during pregnancy? What can I take for thyroid problems? What are the products to combat obesity in menopause? What are the products for cleansing your blood? What are the products to cleanse your liver? What are the most suitable products for my joints and bones? What are the most suitable supplements during periods of intense study, to boost memory power and fight off fatigue? Are there food supplements for hair loss? Which products are recommended for slow metabolism? What is the most suitable food supplement for allergies? What is the most suitable food supplement for colds? What is Dr Giorgini best vitamin C supplement? Can I get advice from an expert to know which products are best suited for me?